Today we crowned Mary in our celebration mass with Grandparents and Special Friends. 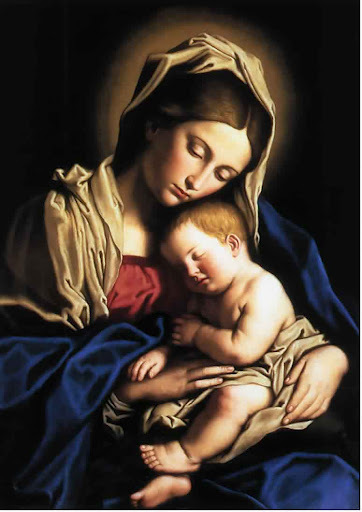 This beautiful tradition at St. Philip the Apostle school is held every May and combines sharing our school with special people and honoring the Mother of our Lord, the Virgin Mary. From singing songs in mass to partaking in the 7th grade bake sale, to watching our grown up 8th graders process down the aisle amidst roses for Mary, the day is lovely and special. I had the privilege of reading the 8th grade Mary essays and voting on the best one. All the faculty helps choose by reading the anonymous essays. It is always difficult to choose from essays that are personal as well as special. Each student really understands Mary and her remarkable life. But, it was hearing the two chosen essay read aloud before Mass that really moved me. We have such incredible, compassionate and poised 8th graders! St. Philips has been blessed these past nine years to have them as part of our community. My intention for today’s blog entry was to provide information on Mary and Grandparents and Special Friends Day but you all know about both already. Our religious education is strong and each student from Kinder to 8th grade has a firm grasp on who Mary is and her importance in our lives. So, instead I find myself reflecting on the day. I’m watching children walk by the library hand in hand with their grandparent or friend. They are excited and happy to share their school, their classroom, and lives with these special people. Isn’t it wonderful?